For my day of antique bliss, I hit the open road with my best gal–Mom! Because you’re never too old to enjoy a road trip with your mother. 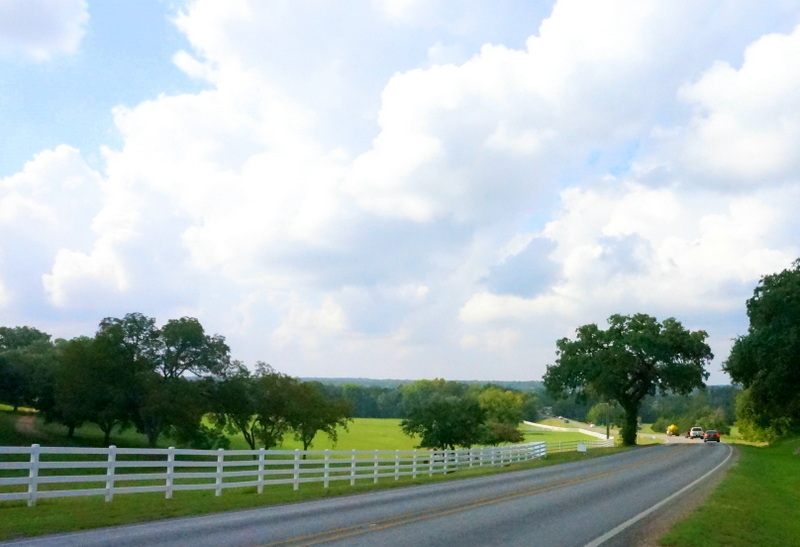 As you can see from the image above, the closer you get to Round Top, the more beautiful the scenery becomes. Lush green hills and white fences are in abundance. 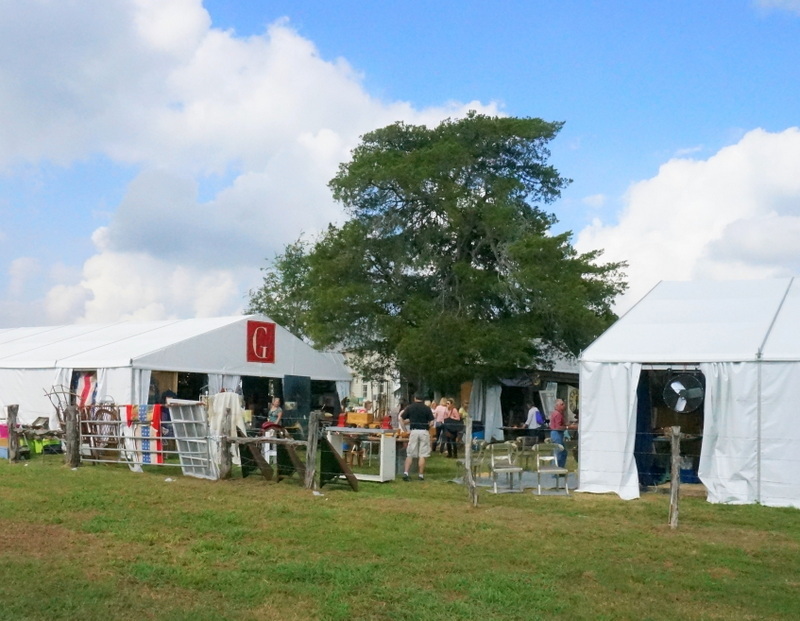 We hit some traffic on our way to Warrenton, as it was the opening day of the Marburger Farm Show, shown below. 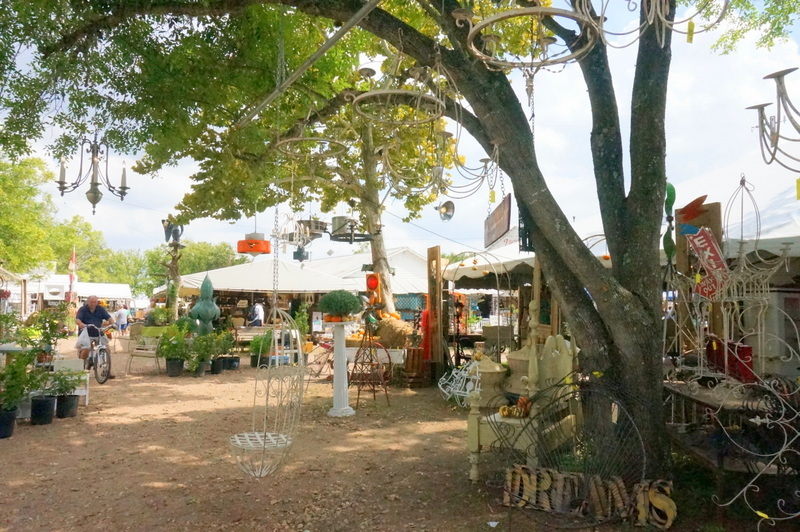 White tents fill the grounds, and if you’re ready to shop, this is a dream come true. With that said, my favorite show of AntiqueWeekend is located in Warrenton. It’s Excess Field (also known as EX-CESS), to be exact. 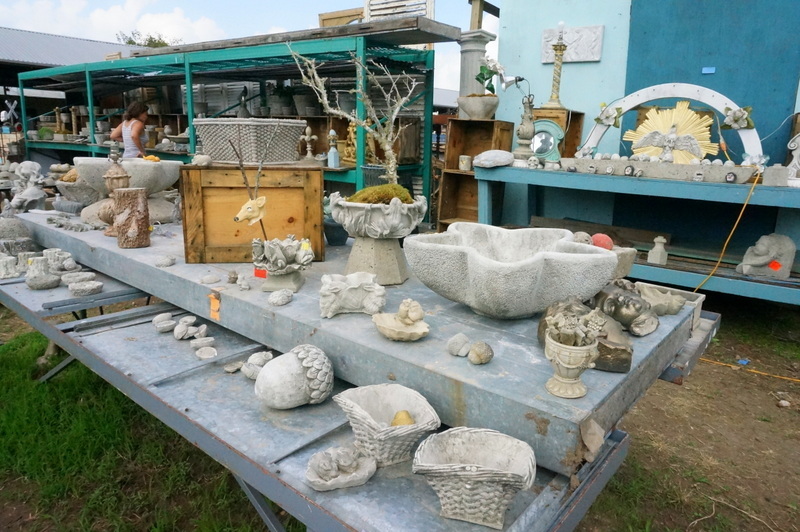 Here you will find sculptural pieces, mineral samples, stunning antique finds, and retro-modern decor that will blow your mind. 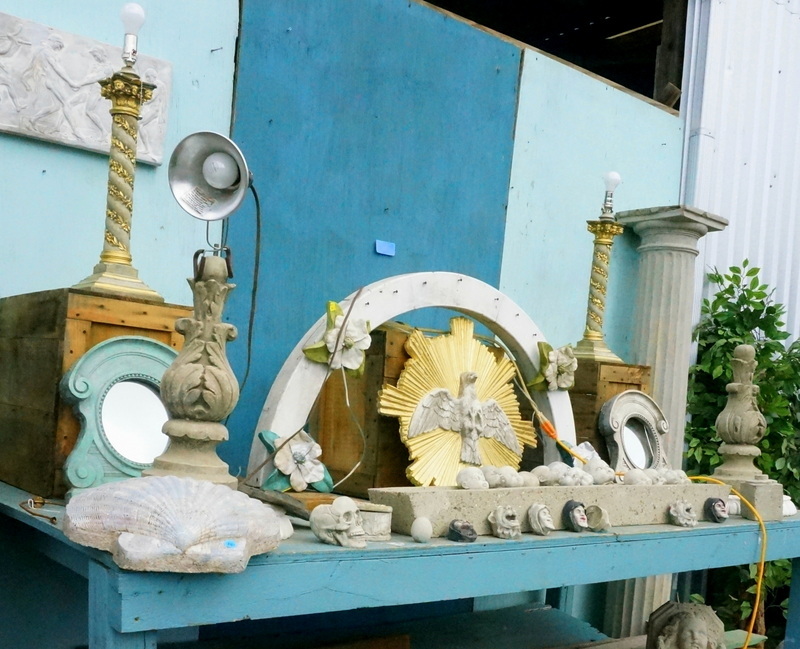 It’s like stumbling into the warehouse of your dreams and finding everything casually yet artfully arranged. 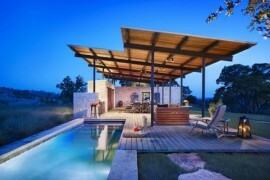 Above and below, we see snapshots of Excess Field, complete with brightly painted furnishings, metal drawers and more. 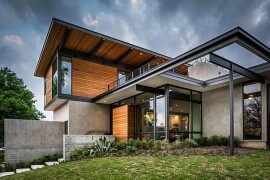 This is where creativity reigns, and even if you don’t purchase anything major, at the very least you’ll get some unique design ideas for your own interior. 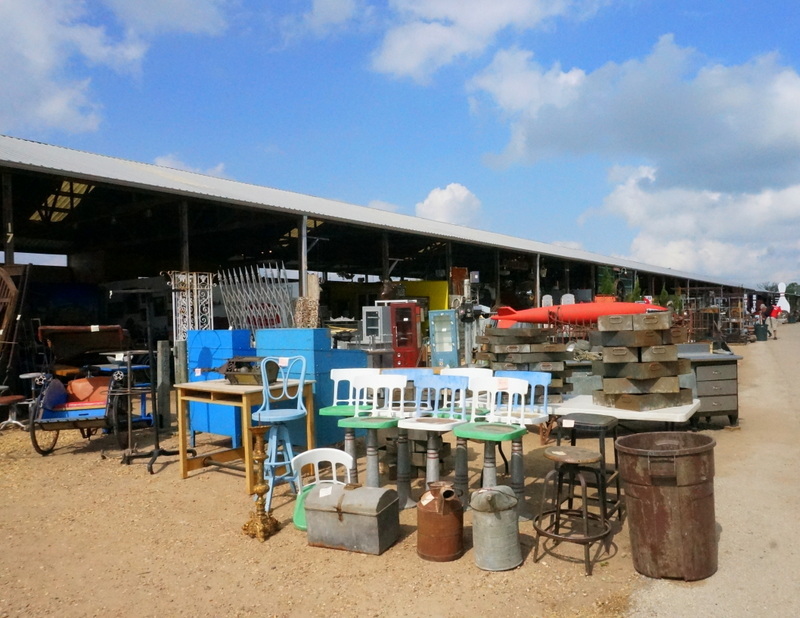 Browsing Excess Field is always a highlight of my day in Warrenton, and this is typically where my festival adventure starts and ends (especially since I park nearby). And yes, the parking in this section of the event is free. It’s a win-win! 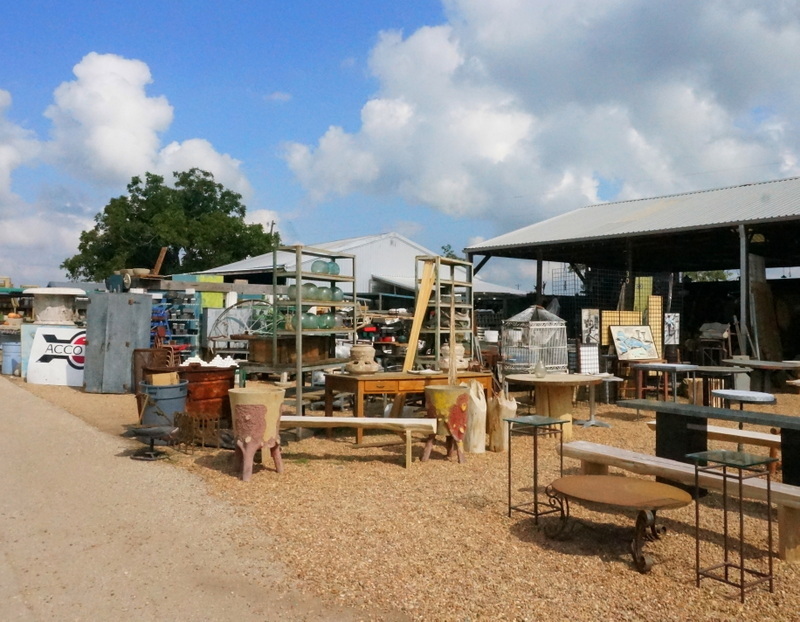 But for me, the true highlight of AntiqueWeekend is visiting the space of artisan Richard Taylor. 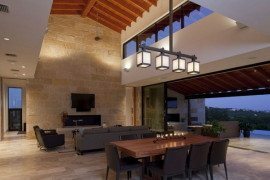 His concrete works have redefined eclectic outdoor style. Plus, he’s one of the kindest, most engaging people you will ever meet. 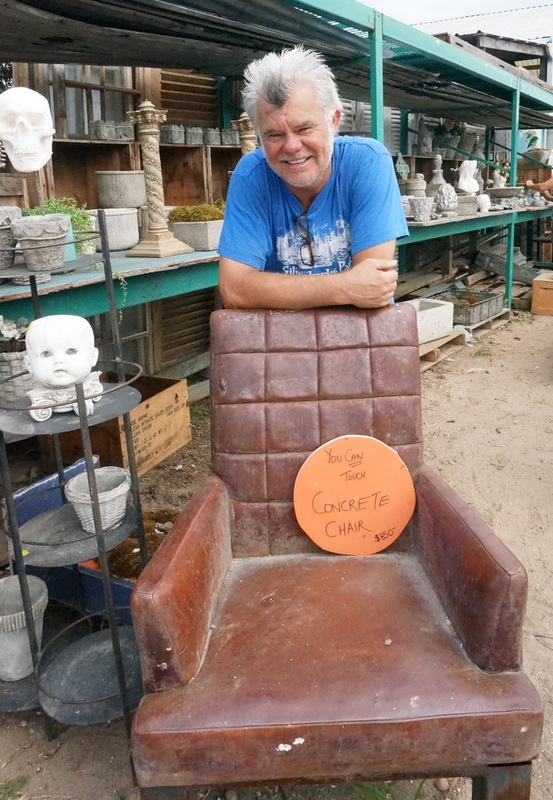 Below we see Richard next to his famous concrete chair. 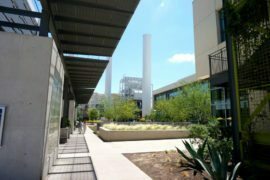 Yes, it’s really concrete! But you have to touch it to believe it, as the leather likeness is incredibly detailed, down to the creases and the stitching. 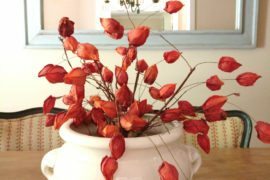 Over the years, I’ve purchased many a Richard Taylor piece, from concrete planters with a timeless feel to decorative items such as mushrooms, succulents and lotus flower dishes. The table of creations below reflects the range of this artist, both in scale and style. 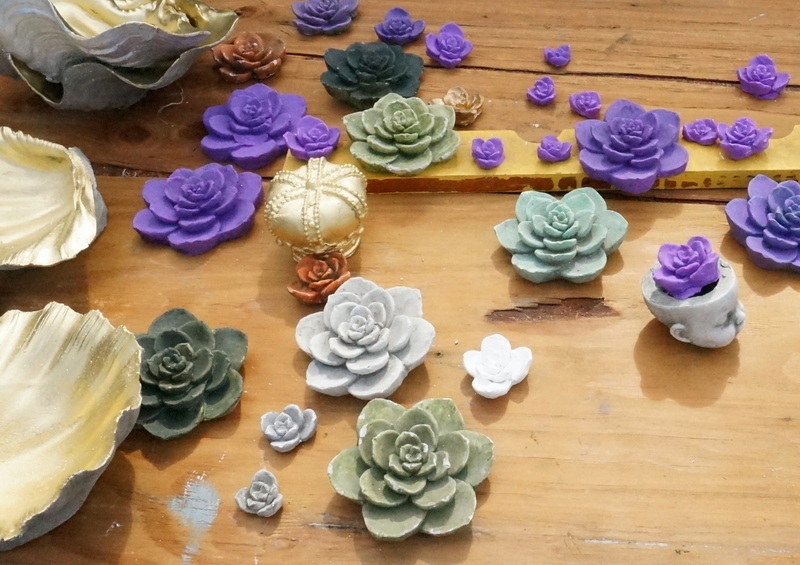 Painted succulent decor adorns the table in the next featured image. Regal hues take center stage, yet the overall vibe is more relaxed than formal. It’s precisely this combination of the whimsical and the classic that makes Richard Taylor’s designs so intriguing. He’s in it for the love of his craft, and this creative drive has led to collaborations with brands such as Pottery Barn and Terrain. A special thanks to Richard Taylor for allowing me to photograph his space, and for being a constant source of inspiration to me in my garden design endeavors! 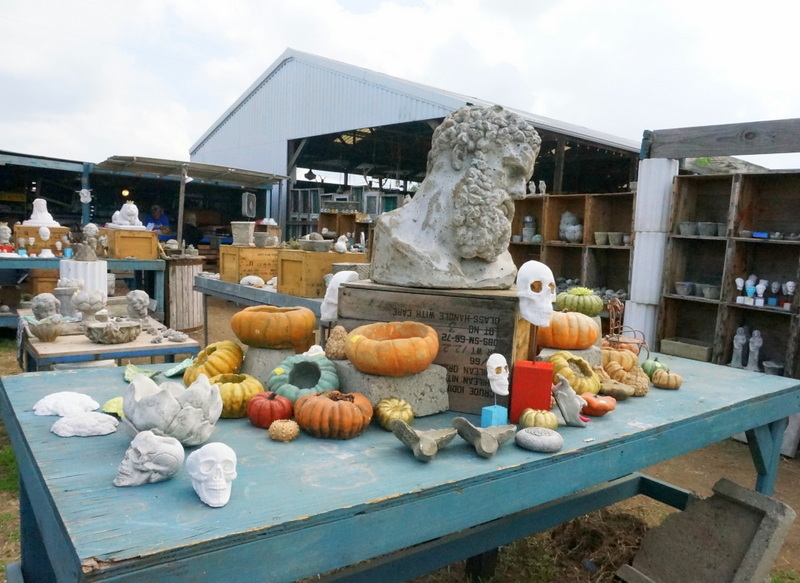 After Mom and I chatted with Richard and purchased one of his pots, we continued to explore Warrenton and its many offerings. 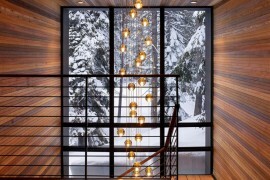 The view below is one of my favorites, thanks to chandeliers hanging from the branches of a tall tree. Did I mention that it was over 90 degrees as we walked from tent to tent?! Yes, it’s fall, but fall in Texas is a strange beast. Any bit of shade was appreciated! 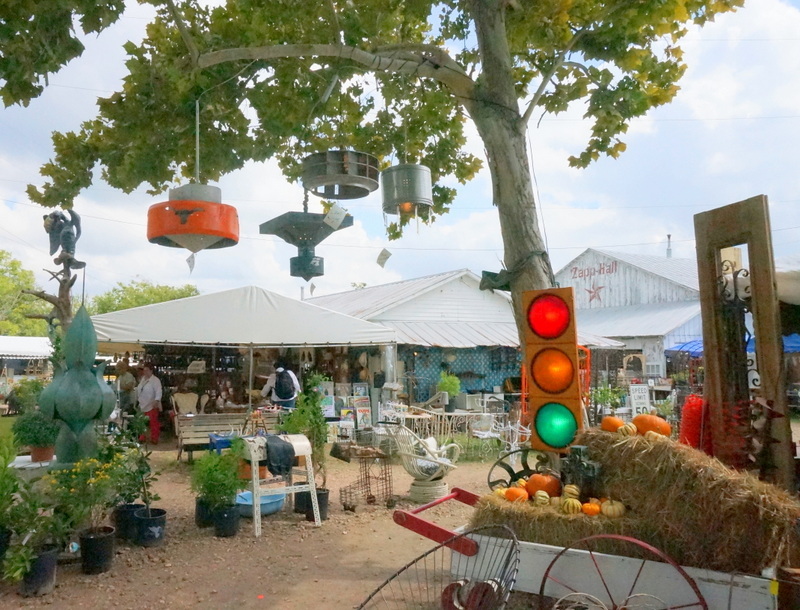 Another fun fact: more than 100,000 people visit Texas AntiqueWeekend each fall and spring! Sounds like a crowded nightmare, right?! Yet the shows are so spread out geographically that it rarely feels crowded, especially if you visit on a weekday like we did. Want to know what I bought?! This year I wasn’t looking to purchase anything big. But I was definitely on the hunt for interesting decorative items. 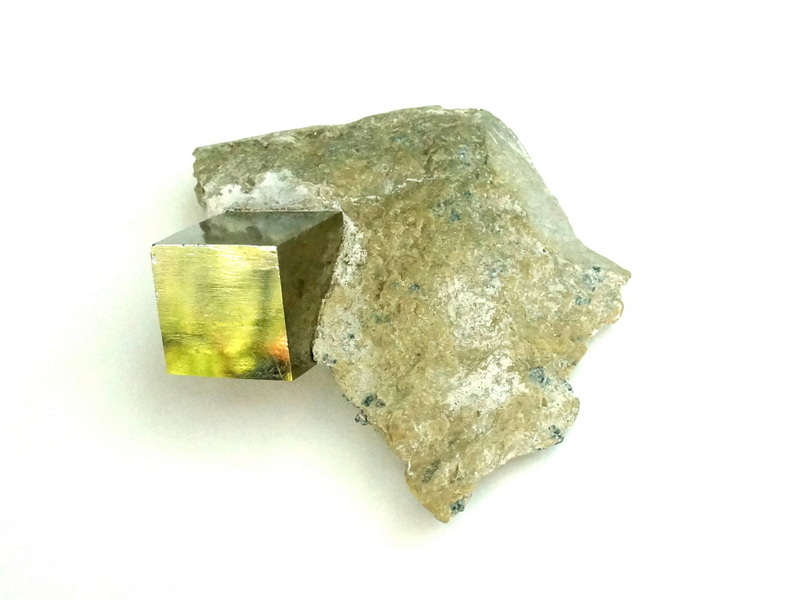 I’m a bit obsessed with rock and mineral samples, so I was thrilled to find the iron pyrite piece below at Recycling the Past in Excess Field. Can you see the way it casts a a sunny glow on my happy face in the image below? Can you tell I’m pretty excited about my purchase?! 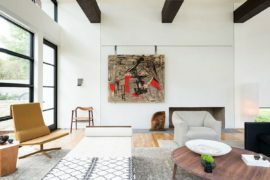 In the montage that follows, we also see Mom on the bridge, and at the very bottom of the photo cluster is Richard Taylor’s concrete version of the Barcelona Chair–a design enthusiast’s dream! In addition to my mineral sample, I picked up a collection of neon fruit from the 1960s, three pieces of which are on display in the next image. 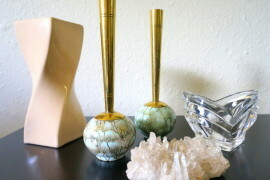 I’m looking for ways to add a touch of tropical style at home, and these should do the trick! I also purchased a wooden fish figurine that I’ll be fixing up and blogging about later this week. Stay tuned! The earlier you start your day, the better. In addition to being able to enjoy cooler morning temps, you’ll have more time to shop! Bring plenty of bottled water, as well as snacks. I always enjoy the food at Texas AntiqueWeekend, but it’s nice to be able to munch on the go if I don’t want to stop shopping. Wear comfy clothes and shoes. Seriously. You will be doing a lot of walking. Wear sunscreen. And bring a hat and sunglasses. I forgot my sunglasses and was not a happy camper! Make a list of items you’re looking for, but be open to spontaneous purchases. 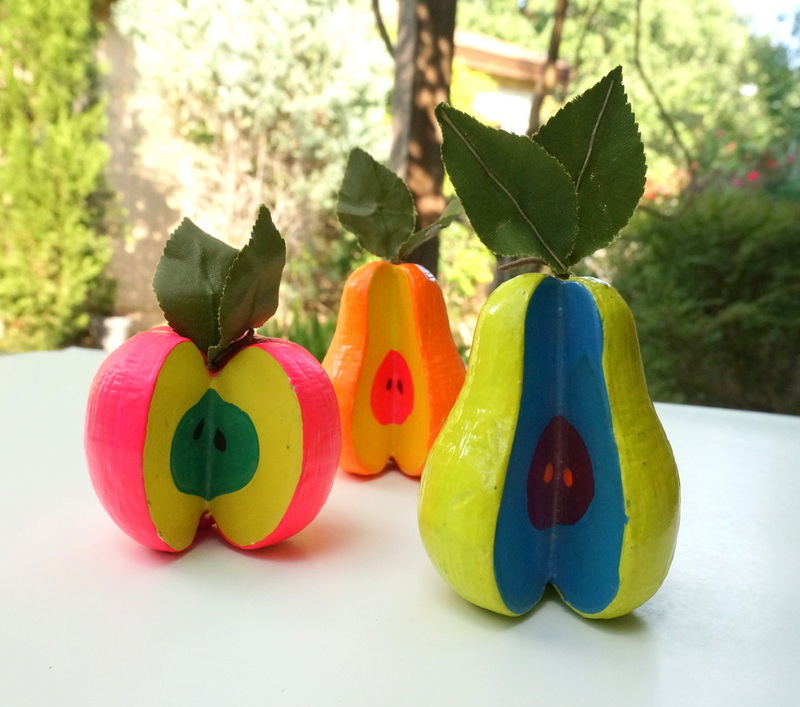 Like neon fruit! Don’t be afraid to dig a little. Some of my favorite bargain buys occurred at booths that weren’t necessarily beautifully arranged. 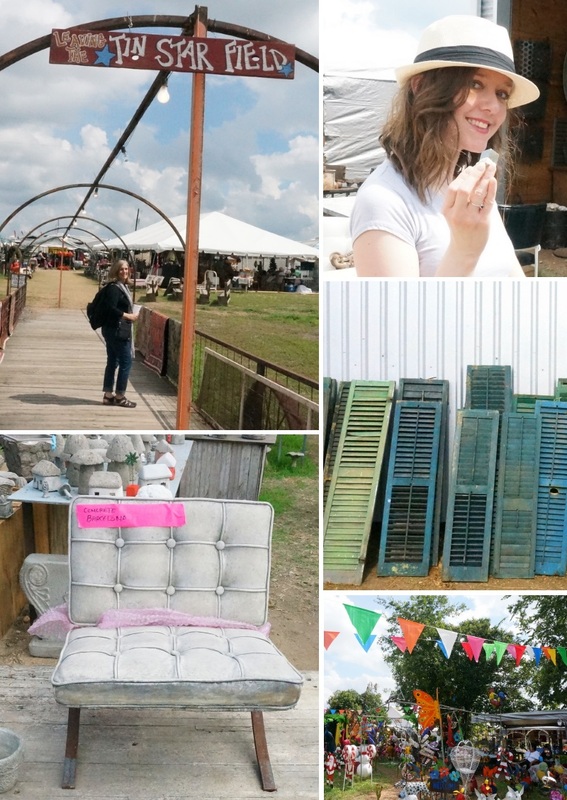 It’s fun to shop at the cleverly curated spaces, but it can also be fun to discover a treasure in a tent that seems to sell nothing but clutter. There are treasures to be found, folks! For more tips, visit my post from last year’s festival! 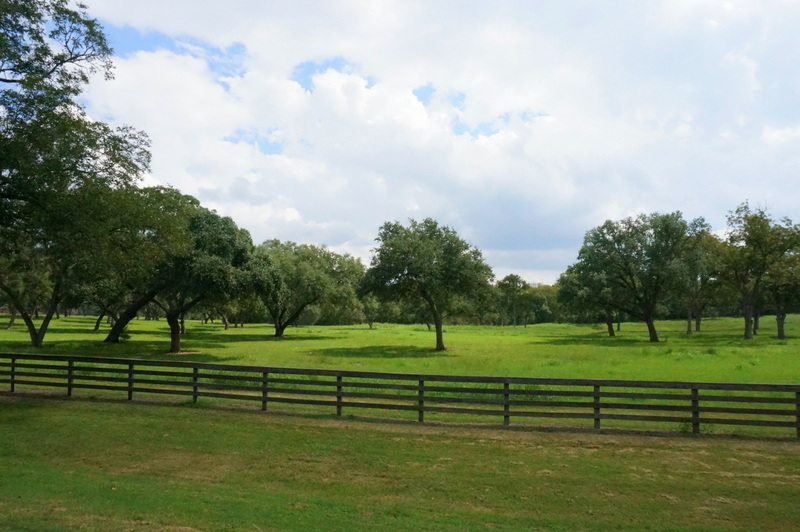 I’ll end today’s post with one more shot of those rolling Texas hills. This was taken on the way home as Mom and I listened to music and dreamed of how our latest purchases would transform our interiors. A good day indeed! 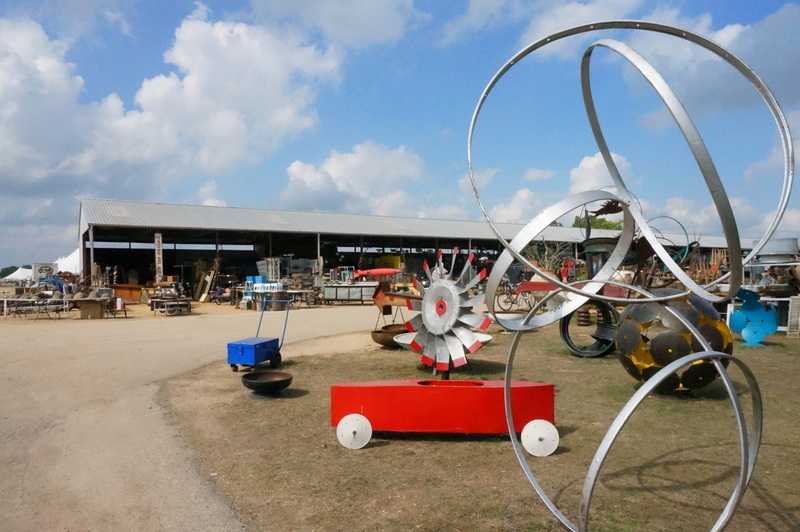 AntiqueWeekend 2014 runs through Sunday, October 5th.